This ‘stat of the week’ is about WeChat. 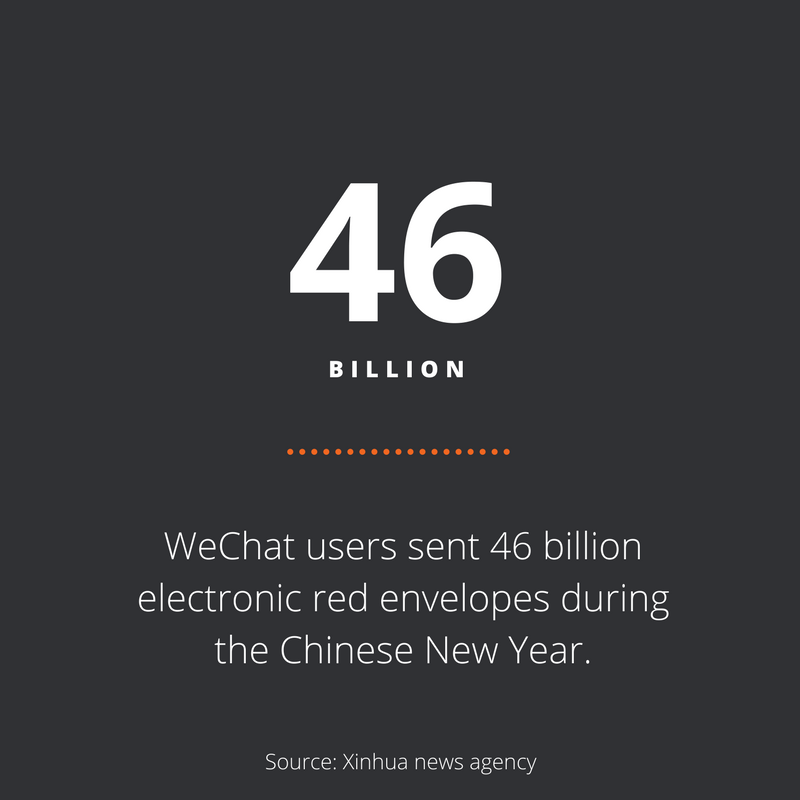 According to the official Xinhua news agency, WeChat users sent some 46 billion electronic red envelopes (customary money gifts) during the Chinese New Year, from Jan 27 to Feb 1. Those born in the 1980s and 1990s (digital natives) sent and received the most red envelopes during the holiday.